Hydro Tec’s passion for Explorer vessels started back in 2008 when M/Y Naumachos ’82 was launched by Cantiere navale di Pesaro, with naval architecture, engineering and design signed by Hydro Tec. Since then, Hydro Tec was improving ever more the concept of an explorer yacht, trying to find the perfect synthesis between a working boat and a luxurious, modern yacht. The evolution process gave birth to the Darwin Class, the perfect combination of efficiency and seaworthiness for the size. After the initial and continued success of the Darwin Class we worked closely with Cantiere delle Marche to produce the Acciaio line, an explorer yacht that embraces all the quality of a “round the world yacht” but with softer and more contemporary lines. This Summer Cantiere delle Marche will launch M/Y Darwin 102 and the first Acciaio 105, both of which boast Hydro Tec’s total holistic package, based on a creative engineering and naval architecture which is the start for an elegant exterior design. The 102 feet Darwin explorer is the 5th model with the same length and when launched she will be the 14th yacht penned by Hydro Tec with Cantiere delle Marche. But she will not be a traditional Darwin 102 as she will be the first with the owners cabin located forward on the main deck, which perfectly emphases the flexibility that the most successful platform offers. On the other side the Acciaio 105 is the first model of a new line and it’s the first explorer at Cantiere delle Marche that will have the tender hidden inside the garage. Placing the garage aft of the engine room, instead of the usual lazarette. 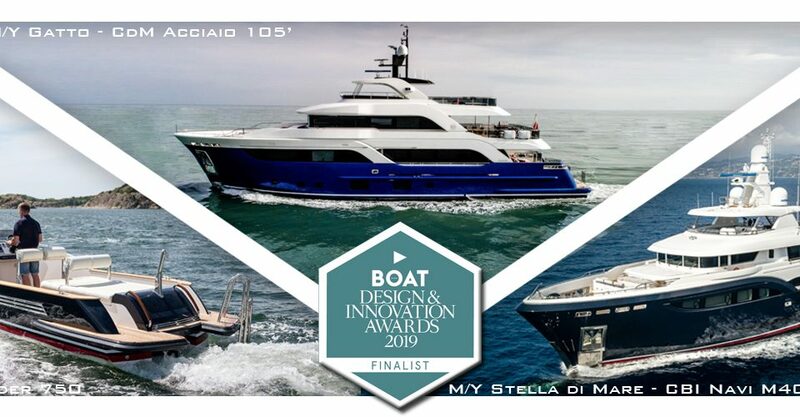 Last but not least at the end of this summer the Nauta Air 110 will touch the water for the first time, with her Exterior design by Nauta design and the Naval architecture and engineering made by Hydro Tec. Leaving the Adriatic Sea, towards Viareggio, at GP Yachts Shipyard, another Explorer Yacht masterpiece by Hydro Tec will come to light: the Explorer M40 of which Hydro Tec was taking care of the exterior design, naval architecture and engineering with interior design signed by Fossati design Bureau. This high volume 40 meter yacht, is characterised with a masculine but elegant profile and refined lines. Designed with a perfect balance between internal areas and open spaces, the hull was optimized by using CFD methodology before being tank tested. All components and machineries have been carefully selected and as a result she will be another great example of our long standing experience and expertise in this market.